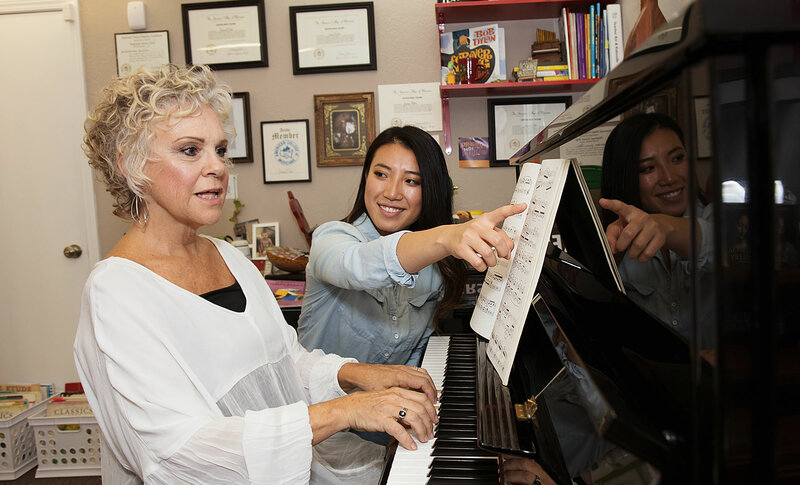 How are piano lessons at MusicMaker Creative Arts Center of Southlake unique? Each syllabus is specifically designed for each student according to their interest, personality type and learning style. Our goal is to create the perfect experience with music lessons for your child so they enjoy making music for today, tomorrow and the rest of their life. We create well-rounded musicians that learn much more than how to play a few songs. Many genres of music are incorporated in lessons including classical, jazz, blues, rock, contemporary, world music, etc. Music history and appreciation are also included in each lesson. Students are encouraged to compose their own music and incorporate story telling and art work in their composition projects. Original compositions are recorded in our studio so each child has a cd of their original music to share with friends and family. Ear training and improvising are also an important part of each student’s studies so children learn to read music as well as play by ear. Students as young as four years of age love participating in these activities! 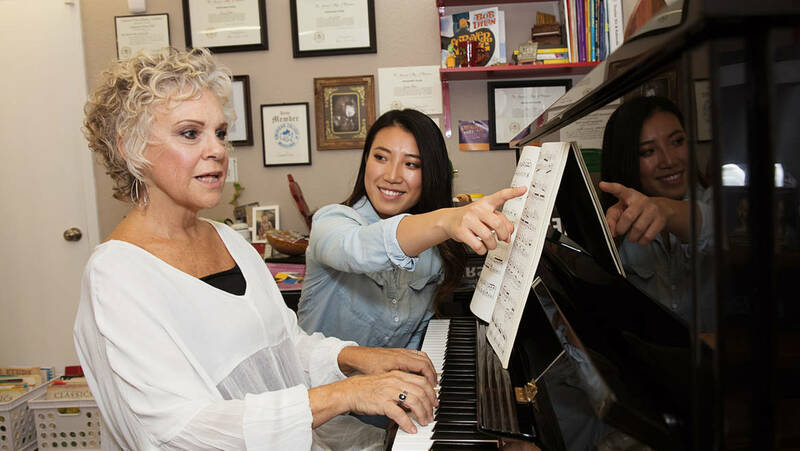 All piano instructors at MusicMaker Creative Arts Center of Southlake are devoted to the art of piano pedagogy and are active members of the below organizations. Affiliation with these organizations enables our students to participate in exclusive festivals, contests and activities. These activities provide students with the opportunity to perform at least once a month if they choose to do so. Students interested in participating in competitions and festivals will audition and receive critiques from notable judges from around the world. to schedule your complimentary readiness assessment.